Every meal will be a happy meal with whimsical mix n' match serving pieces from The Serving Peace Collection! 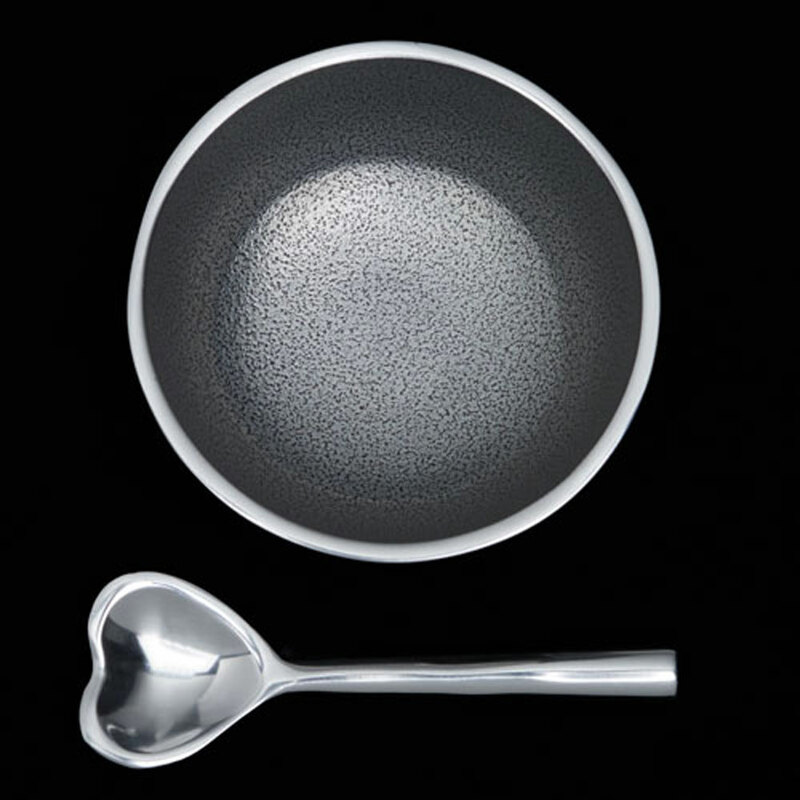 Fun-size condiment bowls & a shiny Lil Heart Spoon. Fill with noshes, toppings, condiments or a scoop of ice cream! Also available: With one design inside the bottom of the bowl: Peace, Heart or Smiley. Handcrafted of food-safe polished aluminum. Size: 4"